Can I save planned respite care days to use next year? No, you cannot. You must use the planned respite care days allocated to you within a year of your assessment. You cannot carry them over from one year to the next. What if I need a longer break? Can I use more days than I have been allocated? Canterbury DHB will pay for the planned respite care days that Older Persons Health and Rehabilitation allocates to you. If you want to have more respite care, you can choose to book extra days and pay for them yourself. Speak to the person who does your assessment or to the residential care facility that you are booking your care in. Will I have to fill out any complicated forms or pay upfront? You don't have to fill in any forms or make any upfront payments for the planned respite care days allocated to you. Canterbury DHB will pay the residential care facility you choose. Can I carry my respite care days over if I go into permanent care? No. You are not entitled to respite care once you go into permanent care. I still have more questions – who should I ask? The person who assesses you can answer any of your questions. 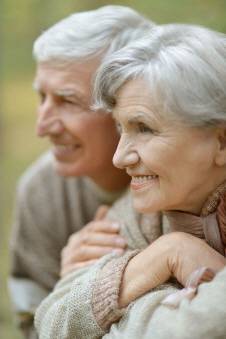 Or you can contact Older Persons Health and Rehabilitation directly by phoning (03) 337‑7765. Where can I find out more about respite care? The Ministry of Health has more information about respite care. Written by Older Persons Health and Rehabilitation (OPH&R), Canterbury DHB. Adapted by HealthInfo clinical advisers. Page created April 2015. Last updated November 2018.